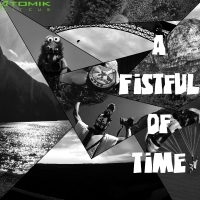 "A fistful of time" is finally released! Two years after "since 1984 " I finally release my new E.P. named "A Fistful of time" ! This album is using different styles and each track brings out a specific atmosphere going through dub, electro swing or new age , perhaps to share a story ?! As usual, you can download it for free on Jamendo and feel free to share it too! I went in Twin Falls for a base trip in september. Twin falls is one of my favorite place in the world. Located in Idaho, after three hours drive from Salt Lake City, on a flat expanse is the Snake River Canyon crossed by Perrine Bridge. This bridge (also known as "Potato Bridge"), with a height of 486 feet (148 m), is the only man-made structure in US that is legally jumpable all year long. I was lucky to be there for the annual Perrine Bridge Festival. Miles Daisher’s wife (Nikki) organize this festival since 2005 to help children with special needs. If you don’t know him, Miles is the Red Bull Air Force team captain. Here is a video about this base trip with a new atomik song which will be available for download in the next E.P. Today, let's focus on hip-hop beat session with reason. This tutorial is based on the big hit of NAS (Affirmative Action) released in 1996 (The original structure is not online but is in the .reason file in goodies). The sample base uses a slow tempo (84 BPM) and is very minimal. It consists in a deep bass with a synthesized guitar combined with scratches (.rex files from the default reason library) and some brass instruments. It is creative commons so feel free to download and play with this tutorial in Reason. If someone wants to put some voice, it will be my pleasure to hear the result!